Tennessee is considering new policies and practices for postsecondary and workforce readiness, including two proposals from Governor Bill Lee to strengthen career and technical education offerings as well as provide students with more career-focused classes. SCORE has launched the monthly Classroom To Career newsletter to highlight relevant news about the work to reimagine college and career readiness in Tennessee. While teaching is a demanding job, it is also the best job in the world! Teaching is a calling because educators help students academically and emotionally; the greatest reward in teaching comes from knowing that I have had a positive impact on a student’s life. Because teaching is integral to student success, supporting great teaching is a priority identified in the new SCORE report, Priorities For Progress: 2018-19 State Of Education In Tennessee. 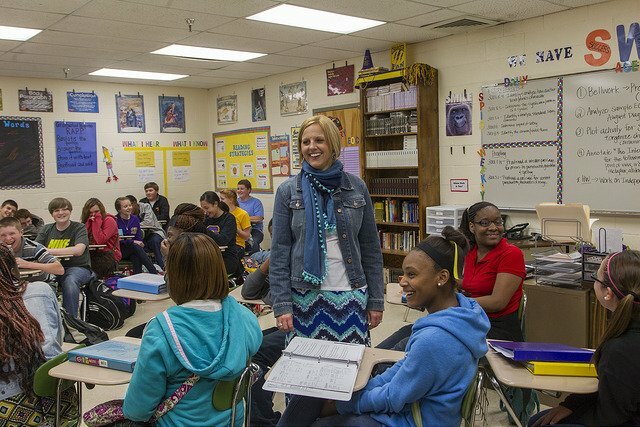 The application for the Tennessee Educator Fellowship is open through Tuesday, February 26. Fellows from the 2018-19 cohort share why their colleagues should apply.